California tree nut growers will soon have to comply with new agriculture water testing requirements under the Produce Safety Rule in the 2011 Food Safety Modernization Act (FSMA). University of California researchers and advisors are holding seminars to share information about the agricultural water requirements and proper water sampling methods in order to be in compliance with the regulations. While irrigation or spray water is generally not the source of contamination, it is a vehicle for pathogens that are harmful to humans, especially on produce that is consumed raw; therefore, agricultural water was included as a part of the new regulation. The UC Cooperative Extension office in Yolo County was the site of the first information sessions for nut tree growers/producers. 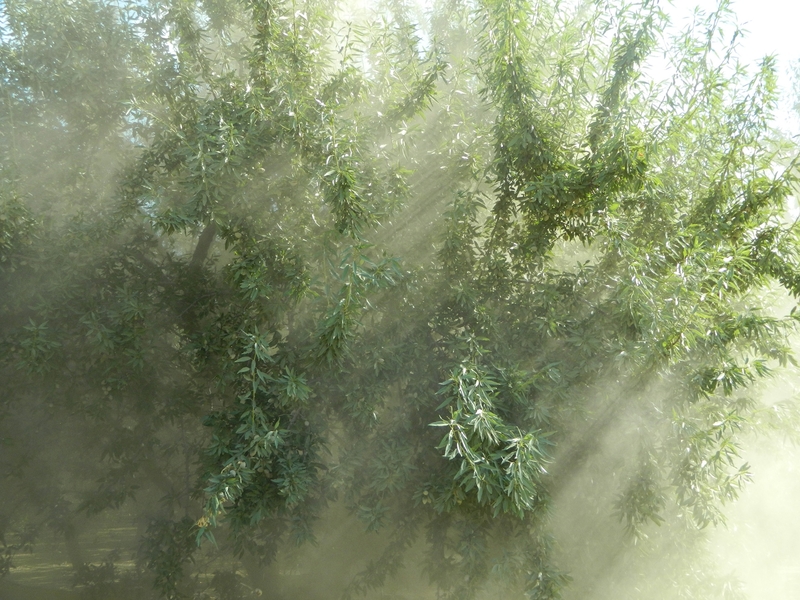 It was an ideal location, as the fertile soils of the Sacramento and San Joaquin valleys are home to the largest tree nut production industries in the U.S. Some nuts are also grown in the coastal valley regions and Sierra foothills. The new regulations and the focus on food safety practices, particularly within the nut tree industry, is of great interest because of the popularity of nutritious and delicious tree nuts. I for one am a big consumer. My day starts with almond butter on toast. That's followed by snacks of raw walnuts and dates. And there's always the handful of roasted pistachios to be grabbed for a salty treat. It is lucky for someone who is nuts about nuts to live in California. The state is the nation's No. 1 walnut, almond and pistachio producer. 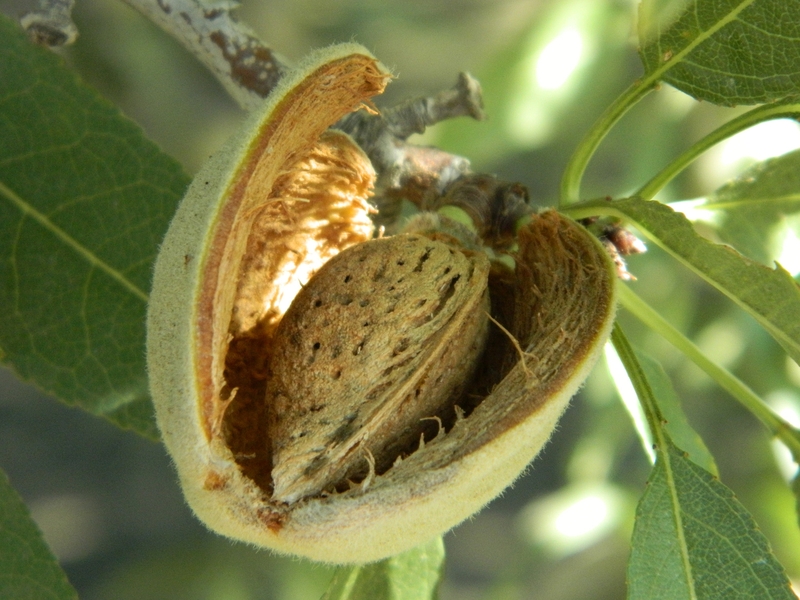 California produces 80 percent of the world's almonds. We produce one million tons of almonds each year, followed by walnuts at nearly half a million tons, and pistachios at over a quarter million tons. The California Department of Food and Agriculture reports the state's leading agricultural export products by value in 2015 were almonds ($5.14 billion), dairy products ($1.63 billion), walnuts ($1.49 billion), wine ($1.48 billion), and pistachios ($848 million). Melissa L. Partyka, an ecologist at the UC Davis Western Institute for Food Safety and Security, (WIFSS) and Ronald F. Bond, a water quality researcher and field coordinator with WIFSS, are engaging local growers on issues of food safety and helping to educate them on not only the regulations but on ways to improve their water quality. Partyka and Bond are staff in the UC Agriculture and Natural Resources' Vet Med Extension and Atwill Water and Foodborne Zoonotic Disease Laboratory, headed by UC Cooperative Extension specialist Rob Atwill, director of WIFSS. They are affiliated with the Western Center for Food Safety, a Food and Drug Administration Center of Excellence, and are helping break down the regulations for the growers, regulations which can be a little overwhelming to the untrained. Agricultural water, according to FSMA, is that water used to irrigate, treat, harvest, wash commodity or equipment on farm. As of January 2016 growers will have 2 to 4 years (depending on farm size) to comply with most aspects of the Produce Safety Rule. Basically, the larger the production, the higher potential for risk to the consumer. How often a grower samples water depends on the water source. Well water requires an initial four samples, followed by one sample per year. Surface water, requires an initial 20 samples, followed by five samples per year. Water samples should be collected as close to harvest as is practical. During a long harvest season, samples can be spread out; in short harvest seasons, samples should be collected closer together; and in multiple harvest seasons, samples should be taken near each harvest if water is coming from the same source.  A full day workshop to be hosted by UC Cooperative Extension is planned for late June. Look for announcement of date, time, and location on the following websites: www.wcfs.ucdavis.edu, http://ucanr.edu, www.wifss.ucdavis.edu. In mid-September in California's Sacramento Valley the weather begins to tease us with the sense that fall is on its way. Interestingly, as the nights drop in temperature so too drops the desire for the fresh fruits we've enjoyed all summer. The melons, peaches, and plums have dwindled or disappeared from hometown fruit stands and our taste buds are being tickled by the site of the golden pears and the multiple varieties of apples newly arrived from local orchards. Late in September our antennae go up at the sight of the colorful variety of sparkling fresh apples. During the summer months the abundance of fresh fruit might cause us not to reach for an apple, other than to pay attention to the old adage, “An apple a day keeps the doctor away.” The sight of the Washington sticker on the apple changes everything. It's understood that it takes water to grow the fruit we consume. Something likely not appreciated is that researchers from the University of California and the Washington State tree fruit industry are working to understand the risk that water used to grow tree fruit may pose for human health. Water is a vehicle for bacteria that can cause foodborne illness. Water quality training seminars for growers that have to comply with new water testing requirements have already begun in Washington with the leadership of UC Davis researchers such as Melissa Partyka, Ronald Bond, and Jennifer Chase and Ines Hanrahan of the Washington Tree Fruit Research Commission. Planning for others is underway in many other regions of the United States. These workshops are spreading the word about proper methods for obtaining accurate water samples in order to be in compliance with regulations in the Produce Safety Rules for the Food Safety Modernization Act (FSMA). Partyka, a staff researcher and doctoral candidate in the Graduate Group in Ecology at UC Davis, Bond, a water quality researcher and the field research manager, and Chase, a doctoral student in the Graduate Group in Epidemiology, are all in the UC Agriculture and Natural Resources' Vet Med Extension and Water and Foodborne Zoonotic Disease Laboratory, headed by UC Cooperative Extension specialist Rob Atwill, which is within the Western Institute for Food Safety and Security. Dr. Hanrahan has become a valuable partner and liaison to the tree fruit industry, helping to both organize and staff the inaugural workshops while advocating for greater collaboration between UC Davis and Washington State University Extension. 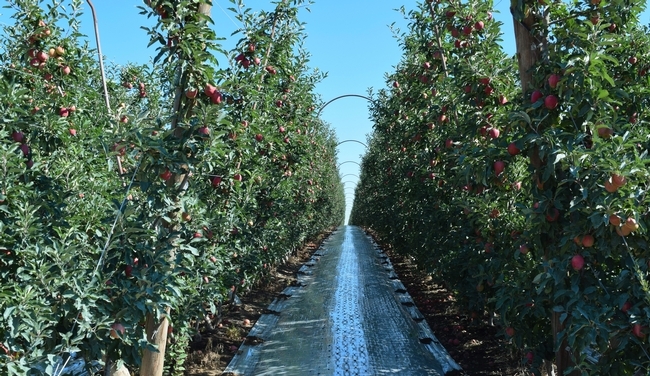 The UC Davis team of Partyka, Bond, and Chase, have been in Washington State conducting research and workshops, which will help answer key questions for the tree fruit industry. For instance, whether growers can sample cooperatively and the impact of hold-times on testing accuracy. The trio are members of the Western Center for Food Safety, (WCFS), a Food and Drug Administration Center of Excellence, tasked to conduct research directly related to the FSMA food safety rule for agriculture water. Bond, Chase and Partyka are featured in an article titled “Simple steps for water sampling” published in the July issue of Good Fruit Grower Magazine. The article, which helps demystify sampling for regulatory compliance, was based on interviews held during the agricultural water quality workshops conducted by these three in Washington last May. The main article is accompanied by two additional guides: one titled “The math of food safety,” explaining the math required for agricultural water testing and “Water sampling 101,” a simple list of dos and don'ts for water sampling. The rows of corn stalks have dried in the summer sun. The harvest moon will soon greet us in the evening sky. 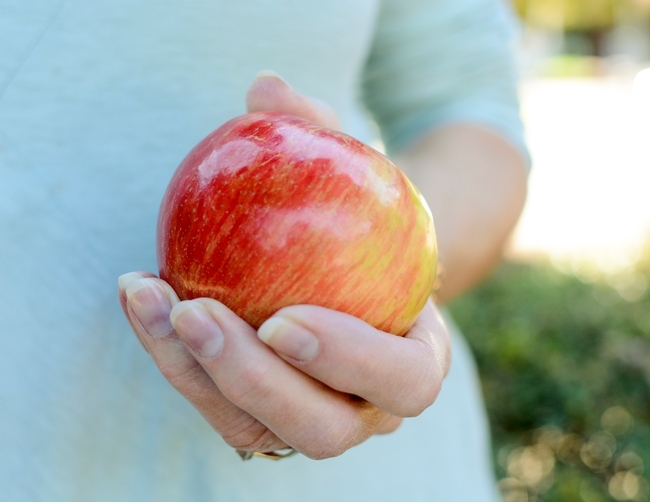 As our senses tingle with the oncoming change of season, the sound of the crunch of a juicy apple is music to our ears. Is it time to start melting the caramel?